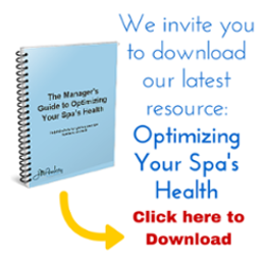 Hiring can be one of the most challenging aspects of being a spa owner and manager. It is a never ending challenge of getting the right people and keeping them. When we hire wrong, not only do we lose money but also time and employee morale. As the saying goes, “it only takes one bad apple to ruin the bunch.” The ultimate goal is to get the best employees for your spa, ones who are passionate, talented and committed to a career they love. So to minimize staff turnover we want to hire right from the start. All spa positions need a detailed job description, outlining necessary knowledge, skills and traits that the position requires. Additionally, all management expectations along with scope and limits of authority need to be outlined. Your job description is your measurement tool for employee performance and new hires. Candidates need to meet at least 80% of what you are looking for, anything less and you are asking for problems. Use your job descriptions to create your job postings. Be detailed about what you need. If you want 3+ years of experience, state it, and say candidates with less will not be considered. Use social media to your advantage and post through all channels. Additionally, post through ISPA and other industry sites where talent visits. Reach out through LinkedIn and network with your employees. To give employees a voice in who works beside them, implement an Employee Referral Program where there is a monetary reward for a referred new hire after 90 days. To make the interview count, be prepared and efficient. Establish a set of interview questions that you use with all employees so it is easier to measure one against the other. Ask probing questions and questions where they need to problem solve. Have your team participate and have all candidates interview with another staff member with similar questions so you can compare answers and consistency. Besides a stellar resume, a candidate has to have the right attitude and charisma. Let your gut be your guide. If you are not 100% on a candidate you can also try a temp to permanent position or contract to hire. If you are hiring for a technical position, you always want to do a hands-on practical evaluation. A candidate needs to demonstrate their technique and proficiency. Set them up with a lead technician or other team member that you trust. Use an assessment tool to rate their performance. This is a critical step that is often left because owners are so desperate to get someone in the door. You will be surprised what you learn. Nothing makes an employee want to jump ship or not take a job is the compensation. Make sure that the employment package that you offer is fair, competitive and has incentives and room for growth. I’m sure we have all hired someone, only for them to leave in 2 weeks to take a job elsewhere. In the spa industry, finding and keeping top talent is hard and you don’t want to lose talent by not offereing the best package that is financially feasible for your business. Hiring takes time and effort. You need to invest the time to get the best results. Your employees are the face of your business and bringing in the wrong people can be toxic for staff and clients. Try to keep a pulse and open communication with staff so it will never be a surprise when someone chooses to leave. It can take months to fill a position and time is money. If you don’t have the time or resources to hire, spa consultants can provide those services for you, such as outreach, application sorting, pre-interview screening and conducting interviews.